The Bay Area economy is booming for many, but not for all. Many in our community are being priced out and left behind. More than ever, Koret aims to lessen the divide by investing in organizations that level the playing field through education, community building, and economic opportunity. Ashley joined the Koret Foundation in 2010. As a program officer, Ashley manages Koret’s programming and grants in the field of K–12 education, and leads Foundation communications and special projects. 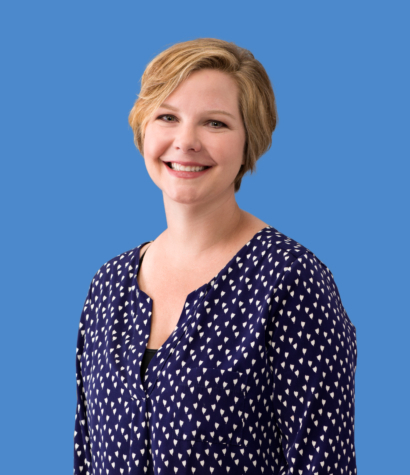 Ashley’s extensive social sector experience spans work with government agencies, community-based organizations, and philanthropic institutions. She has championed several causes, including care for the elderly and disabled, technology and transparency in government, programs to address childhood obesity, healthcare for the homeless, and support for at-risk youth. Ashley received her Masters of Social Welfare from UC Berkeley, with a concentration in nonprofit management and planning. She holds a bachelor’s degree in psychology from Stanford University. An avid runner, Ashley has served for eight years as chair of the Pamakid Runners Charity Committee, which provides grants to local organizations that promote community health and fitness. She is also involved with the Full Circle Fund, which supports innovative nonprofits through engaged philanthropy, while empowering the next generation of philanthropists. Ashley grew up in the Midwest, moving to the Bay Area for college. She and her husband live in Oakland with their two daughters, Romey and Phoebe, and are often found planning the next road trip in their cherished vintage 1982 Volkswagen camper van.